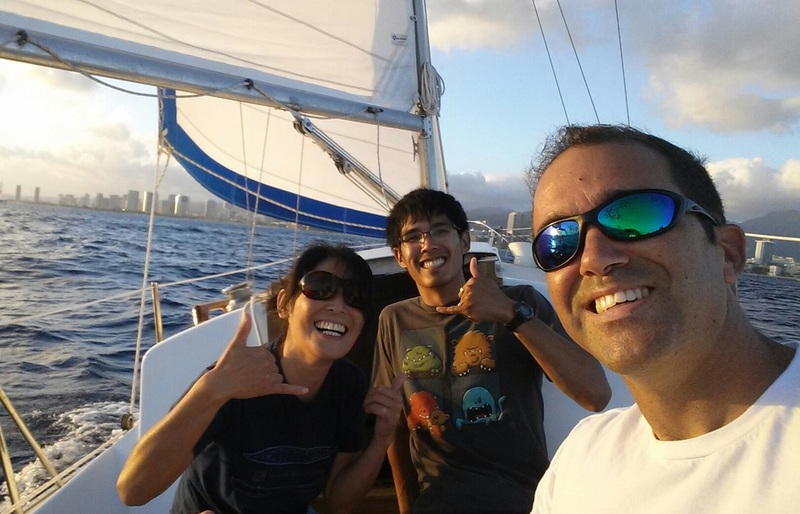 Discover Sailing in Hawaii with a friendly and knowledgeable instructor aboard a classic sailboat. The Sail Hawai'i Discover Sailing course is the ideal way to learn how to sail for visitors to Hawaii and for people who have limited time. The 3 hour introductory lesson covers topics such as: boating terminology, sailing theory, basic seamanship, navigation and boating safety. The topics covered in the Discover Sailing course come from the American Sailing Association (ASA) Basic Keelboat 101 standards and can be credited towards your ASA certification.